Catherine Love was born and raised on her papakainga (communal Māori land) in Korokoro, Pito-one (Petone) with her parents, grandparents and whānau whānui (wider family). Leaving school early, Catherine became a teenage mother while working at a variety of blue collar jobs. As a solo mother of four children and 28 whāngai (foster children), Catherine began studying as part of her life-long pursuit of learning. 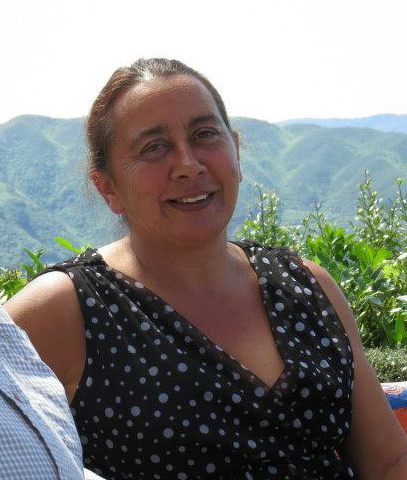 Throughout her childhood, Catherine accompanied her grandparents, father and whanau (extended family) as they relentlessly fought the cause of Raupatu (confiscation). Catherine took up this fight with vigour and passion. She has worked tirelessly over the decades in a range of leadership roles for her iwi (tribe); including Treaty negotiator and trustee of various Māori land and social trusts. Catherine credits her elders with providing clear vision and understanding of the lived realities of tikanga (custom) – highlighting practical pathways to truth, justice and whānau ora (family well-being). Catherine has held national and international positions in health, psychology, social service, justice and educational leadership. Contributing decades of service on diverse bodies such as the Psychologists Board, Government Advisory Bodies, International Code of Ethics for Psychology, Corrections Department, Global Child Protection Bodies, Families Commission and Hutt Valley District Health Board - where Catherine became a governor of the hospital where she had once worked as a cleaner and tea lady. Catherine is known for her innovative initiatives and courage to speak her truth in pursuit of rangatiratanga (indigenous authority and leadership) and social justice. Catherine’s work is internationally respected. She was selected by United Nations Children's Fund (UNICEF) in 2012, as amongst the top 130 ‘global influencers and innovators’ in the field of Systems of Child and Family Protection and Wellbeing. Under the Obama administration, Catherine was appointed to the US Presidential Fund’s, Global Social Services Workforce Development Advisory Group in Washington D.C. in 2014. Catherine was voted most thought-provoking speaker at the Global Child Protection Working Group in 2015. Catherine’s work has influenced social, child and family, health and welfare systems development particularly in parts of Africa, Asia-Pacific, Canada and the Middle-East. Catherine has consistently promoted increased emphasis and resourcing of culturally cognisant, locally developed systems.